Ural may be best known for throwback sidecars with DNA dating back to World War II but they’ve now come up with this electric prototype which uses the batteries, controller and motor from a Zero S.
There are actually two Zero battery packs: a lighter ZF6.5 in the main chassis, and a heavier ZF13.0 under the sidecar seat. These yield an effective range of about 100 miles and take about 13 hours to recharge when plugged into a normal household circuit. On Zero’s advice, Ural brought in high-end California design studio, ICG, to help with packaging and styling which explains why the prototype looks so finished. ICG created the snazzy alloy side panel and came up with the idea to conceal the charging port inside the fuel tank under the fuel cap. Users get to choose between three modes: Sport (for maximum torque), Eco (for maximum range) and Custom (where a rider sets power, torque and regeneraton levels). Power is fed to a Z-Force 75-7 brushless DC motor that produces almost twice the torque of Ural’s current 750cc pushrod twin. 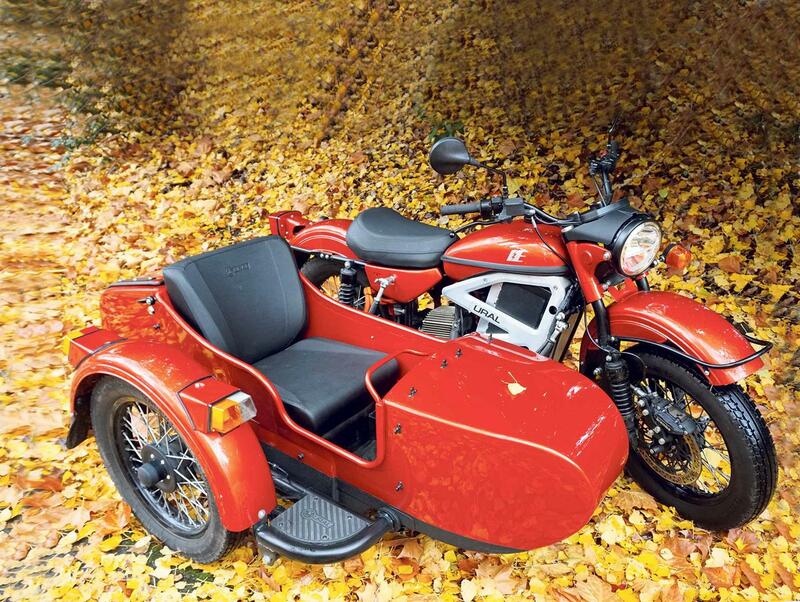 As a result, the electric Ural is downright sprightly. On wet roads it’ll spin the rear tyre off the line. Like petrol-powered Urals, the EV also has a reverse gear. In this case it’s an inconspicuous toggle switch that simply runs the electric motor backwards. The combination of a vehicle that is light enough to rely on the Zero motor, but heavy enough to carry a lot more battery capacity, seems to make sense. But Ural say they have "no immediate plans to manufacture an all-electric model," and that this bike was an exercise in market research. 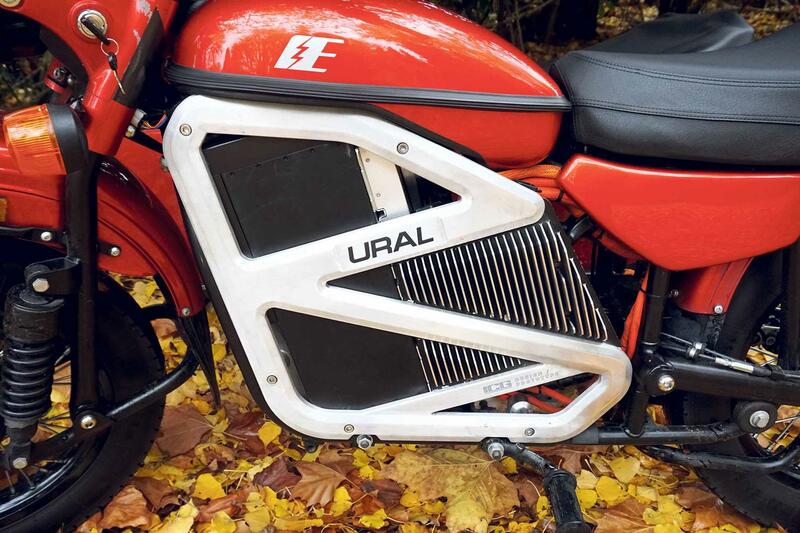 But if there’s enough demand there’s a good chance Ural will build an electric outfit.